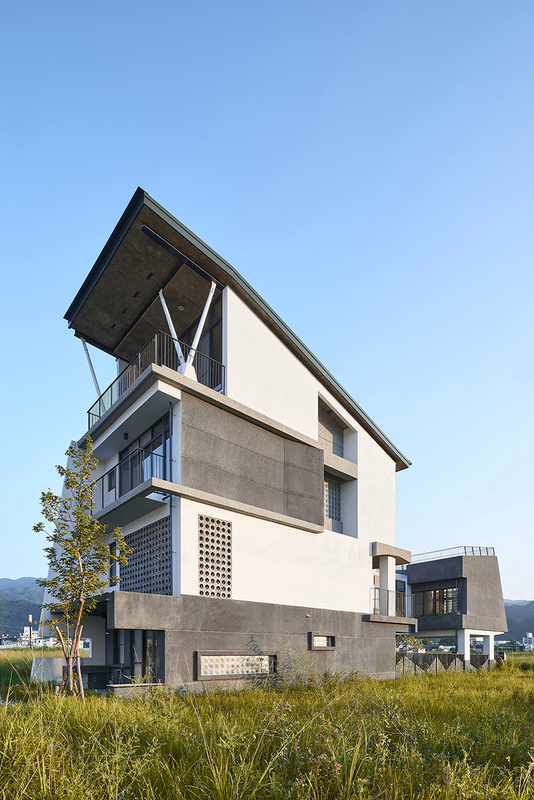 more than 60% of the year in taiwan features heavy rains that can reach the level of typhoons, the firm emerge architects was hired by the local yilan county government to develop a housing complex in the toucheng district that could reflect the territory and its people. 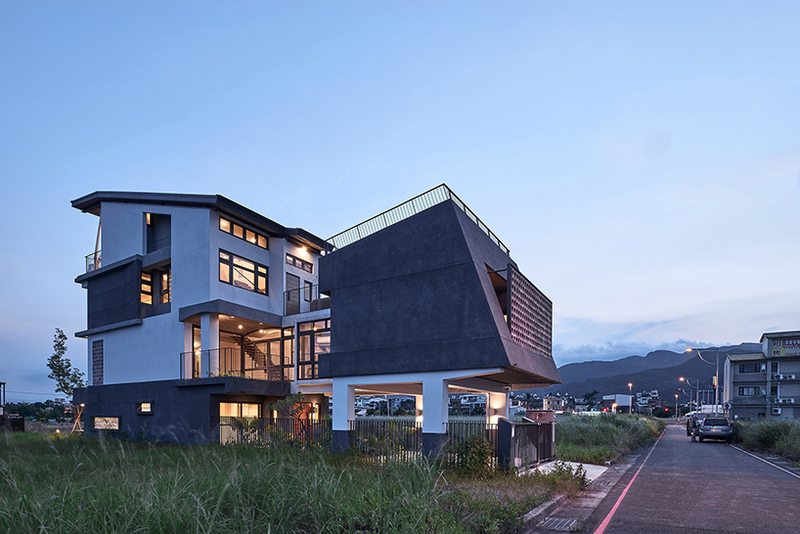 however, this is not the firm’s first design in yilan, click ‘here‘ to read about their previous foam like structure. 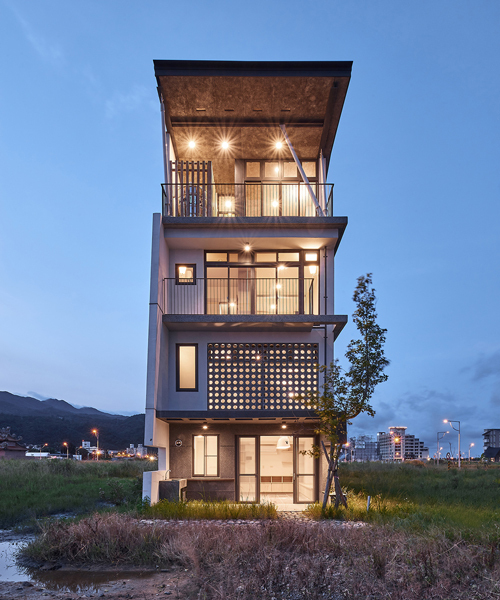 emerge architects strategy consists of three approaches within the 6*30m site. 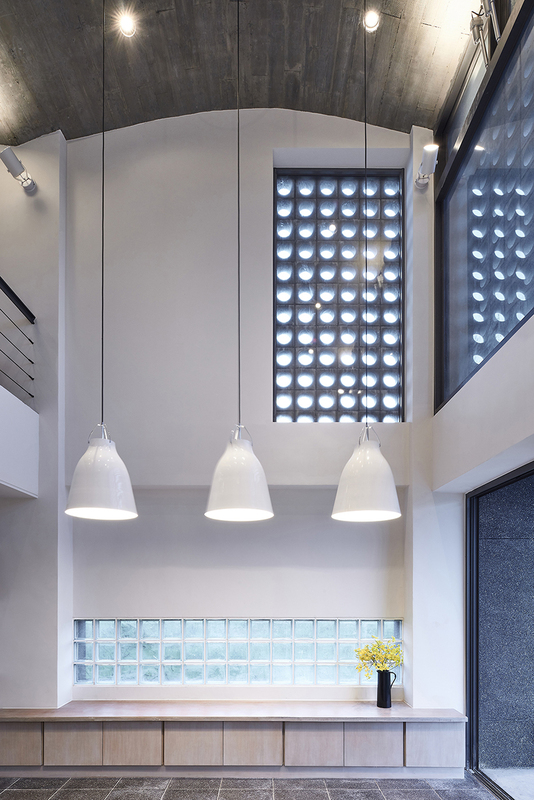 First, they incorporated an ‘open rain-sound courtyard‘ to function as the spatial core. 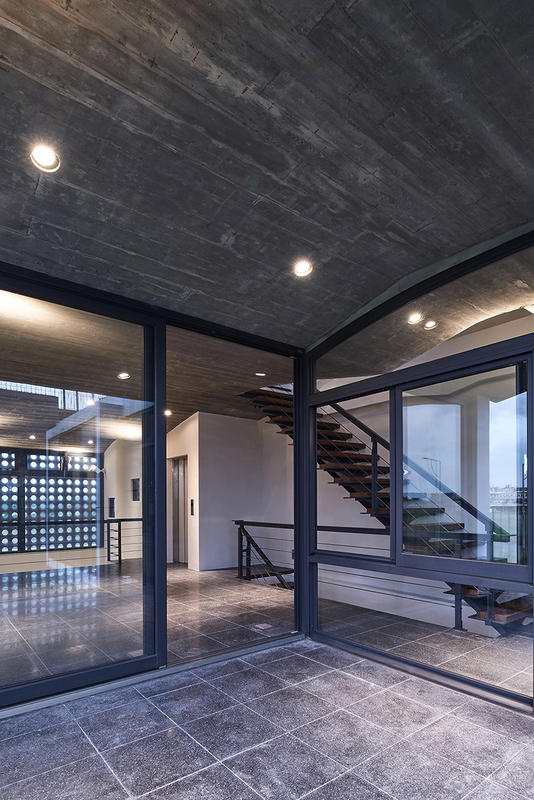 second, was to develop a ‘relative high-rise‘ in comparison to the surrounding rural houses to also handle the high level of rains in the year; this was completed by designing ‘three dimension living patios,’ that allowed for activities. 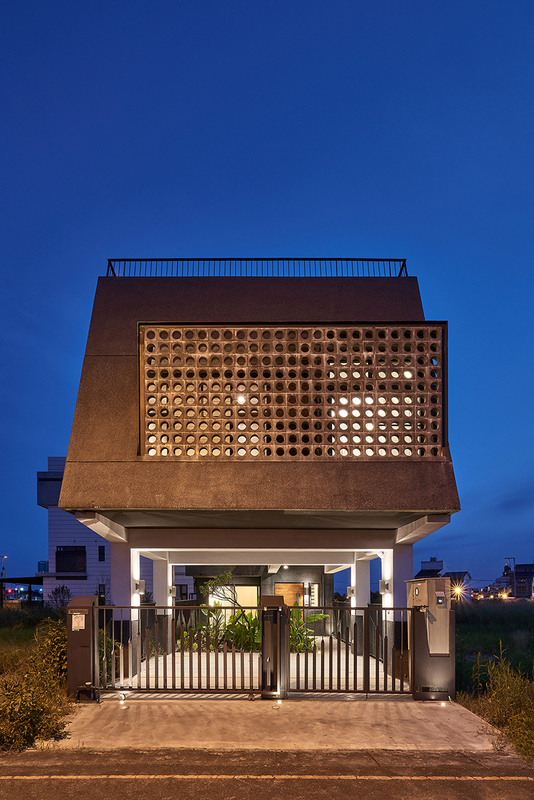 thirdly, as the middle of the city lacks open space, the rooftop garden provides ab urban green space for enjoying ocean acoustics and for star gazing. 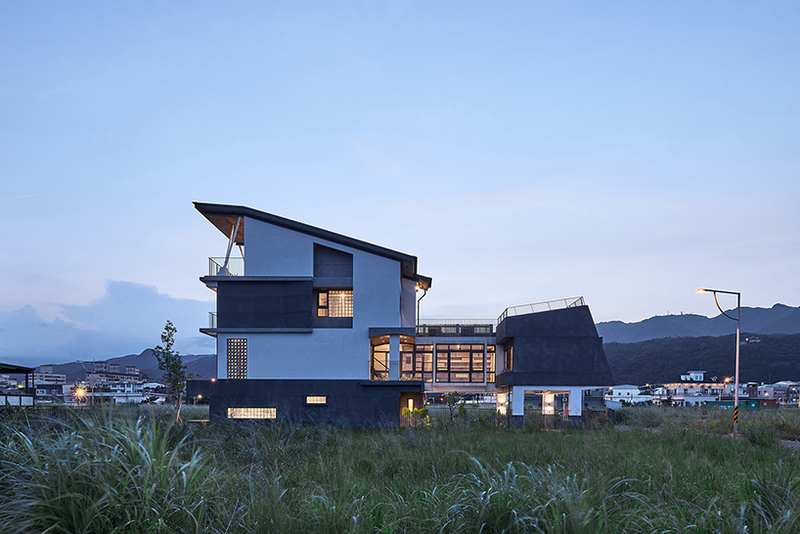 additionally, the architects designed the opening row house to have an ‘open and to connect‘ strategy which was their solution on how design a complex that would reflect the territory and people of yilan. 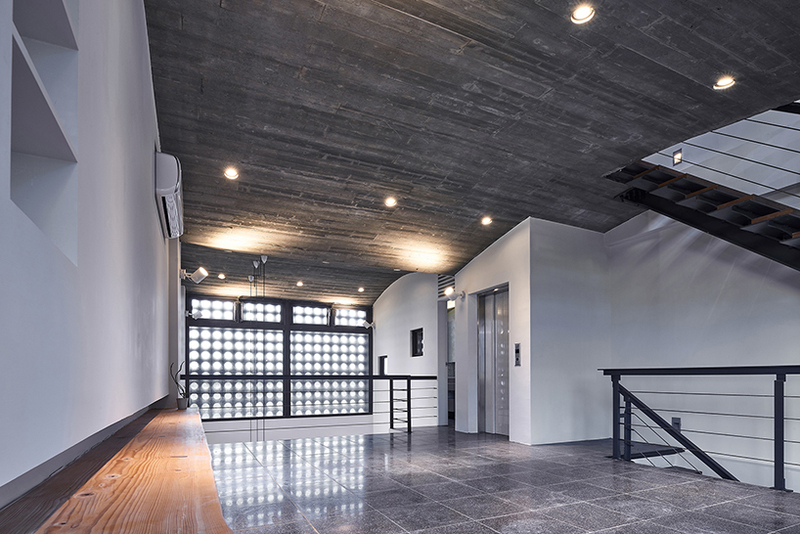 at ground level, the building opens to the street where originally the garage was, has been repurposed to be part of a public arcade and activities during the rain season that takes up a large part of the year. 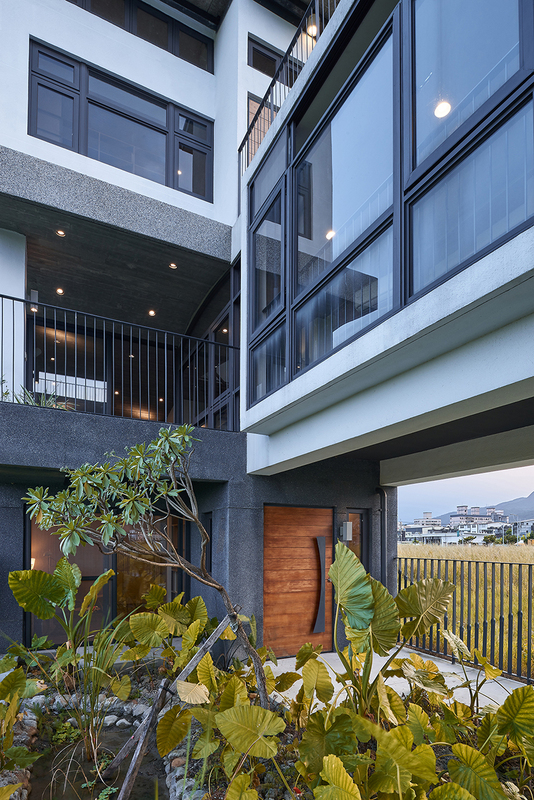 building off the lack of supply for urban space, the architects have developed an ecological corridor by placing a garden courtyard in each unit. 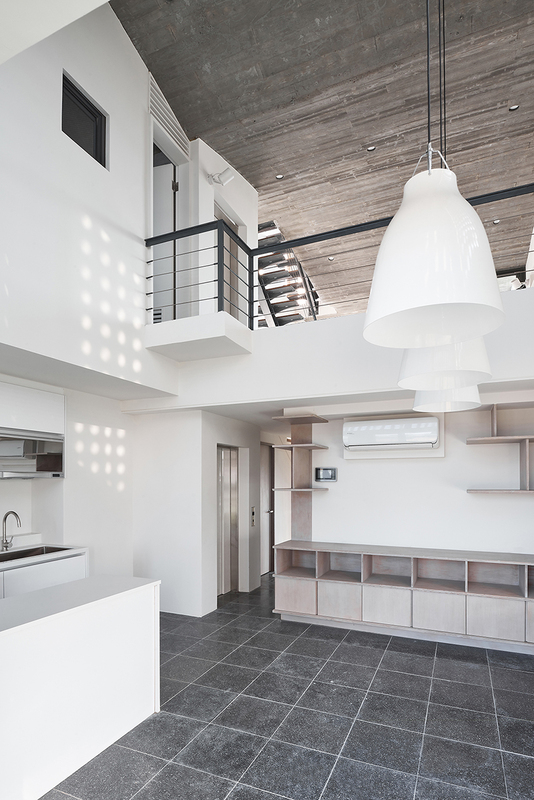 furthermore, there is a back alley open space which provides a lively section to the building with vegetable gardens and outdoor sinks with a culs-de-sac acting as a community space for neighborly events. 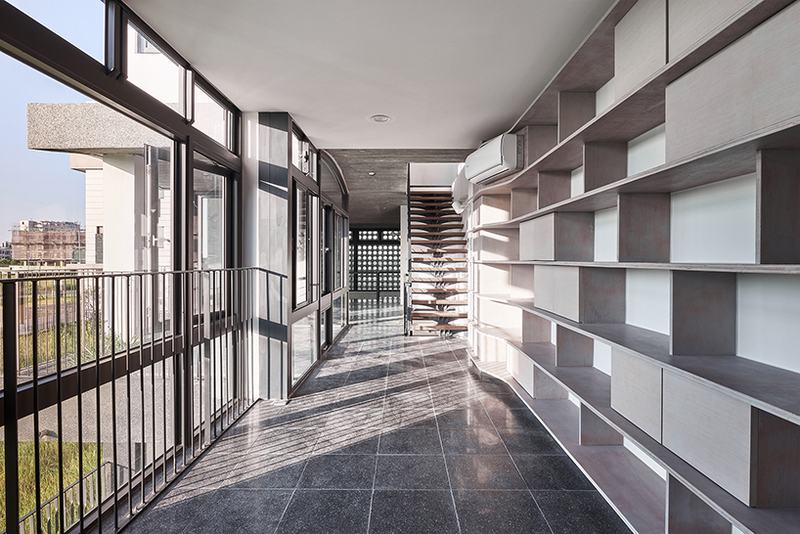 the atrium acts as a connector for spaces and activities, from the kitchen to dining room on first floor to living rooms, hallway library, and a 3.5 m-deep semi-outdoor space on the second floor. 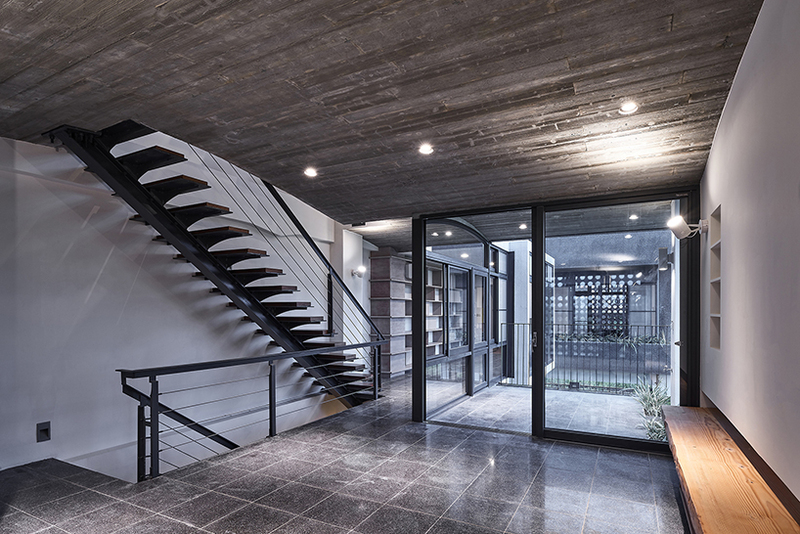 an open staircase ventilates the house vertically and exhales the heat out. 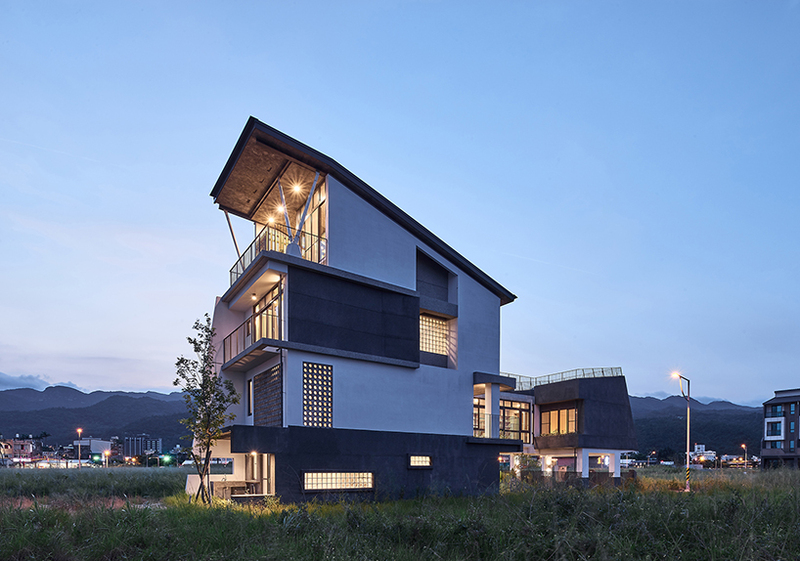 the architects also used a hallow brick façade that provides protection against typhoon. 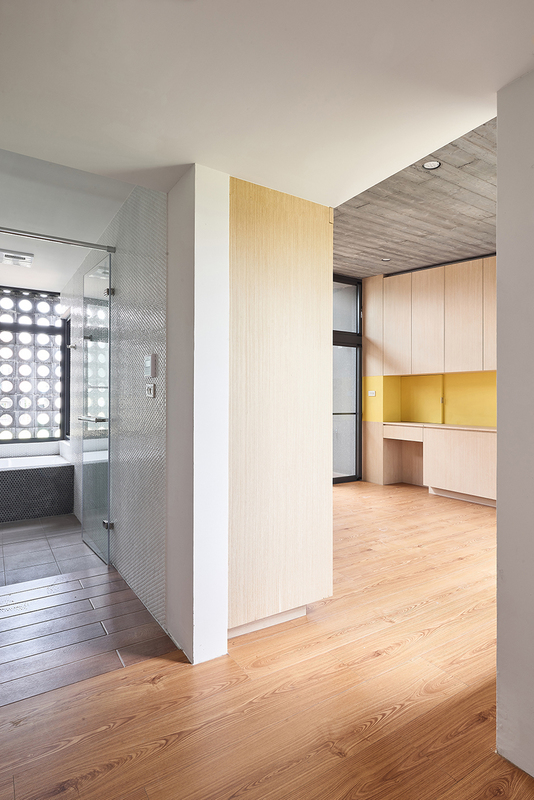 with an ecological pond, vegetable farm, roof garden and open concept design, the opening row house is a natural proposition to modern urban design and lifestyle.